While the housing market has been ebbing and flowing, it is definitely showing signs of positive growth. 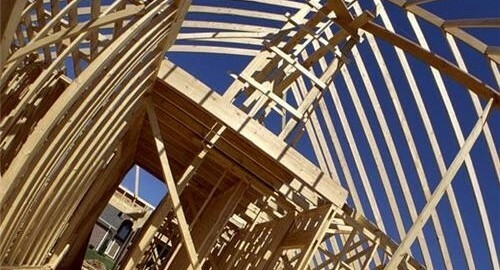 Last month, housing starts – the number of privately owned new homes on which construction began – rose to their highest rate in four years, according to the U.S. Commerce Department. With more houses being built, lenders should ensure that they have quality personal loan software in place. More borrowers might try and invest in property and try to build their own residence, rather than purchase one. Specifically, the Commerce Department said that housing starts increased 3.6 percent to a seasonally adjusted annual rate of 894,000 units – the highest since July 2008. "The broad improvement in home prices, home equity, starts, and inventory clearing are key developments that position the economy for stronger growth next year, and beyond," Eric Green, chief economist at TD Securities in New York, told Reuters. The positive growth in the home market is also expected to raise the nation's gross domestic product (GDP). As reported by the news source, this will happen for the first time since 2005. Economists believe that even though construction accounts for just 2.5 percent of GDP, for every new house built, at least three new jobs are created. Additionally, the Federal Reserve has echoed this sentiment, saying in September that it would buy $40 billion in mortgage-backed securities per month until the outlook for employment improved substantially. Fed Chairman Ben Bernanke was quick to add though, that even with signs of improvement, strict lending practices were a severe hindrance on the road to recovery. Even so, with the assistance of an amortization schedule for loans, created monthly payment plans will be acceptable for both lenders and borrowers.